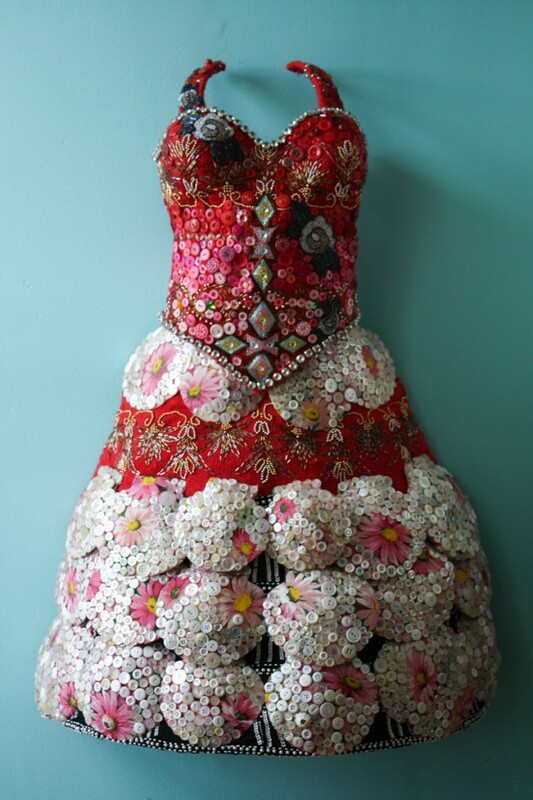 The remains of hundreds, perhaps a thousand garments come to play together to create “Perseverance”. She is a woman made of memory. 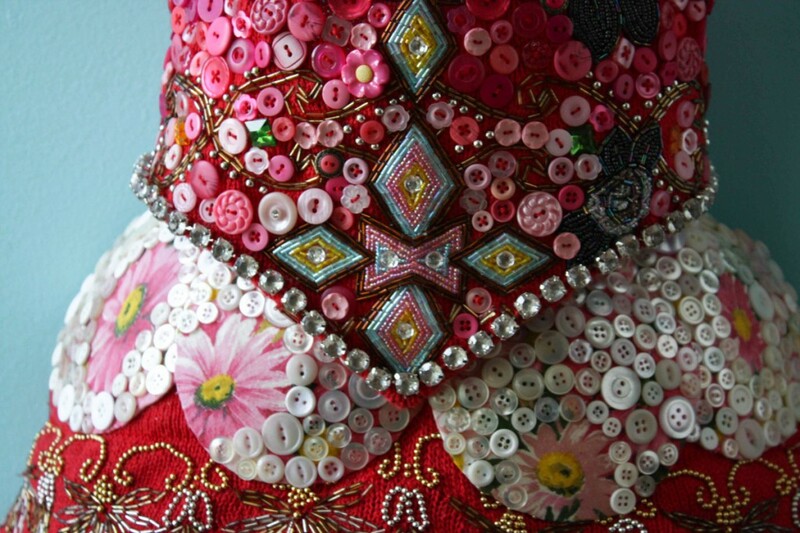 A time traveler layered with the preserved decorative embellishments from her sisters from the past.